Hi, you are warmly welcome to visit this homepage. My name is Jerzy Weber. 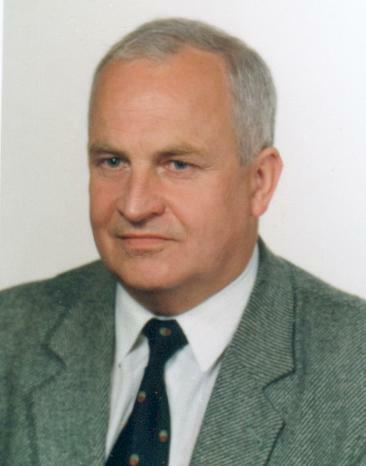 I am professor of soil science at the Department of Soil Science & Agricultural Environment Protection, of the Agricultural University of Wroclaw, Poland. Click here to find how to contact me. If you click here you will get more information on the University. You have a possibility to visit some really exciting scientific utilities/websites prepared by several soil labs around the world, as well as several tutorial websites. Since the educational system of universities in Poland differ from these in the US and western countries, I guess I have to make a short explanation. The base course of the soil science is given at the undergraduate level. In AUW separate soil science courses are given to the students of agronomy, environmental protection, geodesy, environmental engineering and agricultural engineering. Students can continue several specialized courses on soil science (optional) at the graduate level. Each course of undergraduate level is taught as lectures and classes (laboratory and field practices). The lectures are given to all the students gathered to a large audience by only one professor or associated professor, while classes are given by several professors and/or assistant professors to small groups of students. Consequently, the all of us have to teach all aspects of soil science, from bases of mineralogy and petrography, through soil physics, soil chemistry, soil taxonomy, to soil cartography and applied soil science. As you can easily recognize, we are (or at least we should be) broadly educated soil scientists. I teach soil science classes for students of agronomy, and I do geology lecturing and classes for students of environmental protection. Additionally I give short courses for graduate students on soil micromorphology as well as a new approaches in the investigation of heavy metal polluted soils. You can follow some tutorial materials that I have prepared together with some of my graduate students, if you click here . If you are already bored, I don't want to keep you longer, you are free to hit the "back" button any time you wish. If so, I am very pleased. Usually homepages include some information what author likes to do. There are a lot of things that I like to do, but I am absolutely convinced that I love travelling. My naive students' efforts to feel free as a bird or a lonely sail in the communistic reality have been described on my background and history of life page. Although later on, I have enjoyed together with my family several caravaning (driving with a trailer) to France, Germany, Spain and Italy; my great travels were connected mainly with my professional activity, i.e. sabbatical & visits and conferences. Any way I am still interested in visiting different countries, especially in warm and exotic regions. So, do not hesitate to contact me, if your University or soil laboratory have a free research fellow position for a period of 1 - 3 years. I am looking forward to meet you some day and somewhere.